The Kentucky Court of Justice makes it relatively simple for anyone to obtain information regarding someone’s criminal background. Employers and institutions in which people want to volunteer are encouraged to check the backgrounds of all people interested in doing such, and they make it very easy for you to find out this information. Before you learn how to search for someone’s Kentucky Criminal Records background, you might want to understand what information you might find and why you need this information. Criminal records vary greatly. They sound serious, dangerous, and they immediately make you feel a person is not trustworthy enough to work with or allow to come into a business or location to volunteer. However, Kentucky criminal history might include a traffic citation. It goes into a person’s record, and it stays there forever. If someone was speeding and given a citation, it’s their criminal history. It’s why checking is a good idea. Criminal records might also encompass any other information, which is more serious. If someone hurt someone, killed them, stole, was convicted, was sent to jail, or did anything else that’s not legal, it’s going to be in their criminal background. Are you hiring someone to work with you? Do they have access to personal information or money? If so, do you want to know if they have a history of embezzling funds or stealing personal information to go on personal shopping sprees for themselves? This is the kind of information you want before you allow someone into your business. Do you have a business that involves kids, or are you a parent with kids and you need to hire a nanny or babysitter? You’ll want to know if applicants have a history of sexual misconduct of any sort, which is always located in their criminal records in Kentucky. There are many reasons you might need this information, but it’s always worth checking into. Finding criminal records can be done online or in person with the local Kentucky courthouse or police department, but only if a person was arrested or charged in that county. 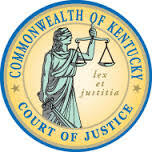 To find out of someone has a national history of criminal activity or they were simply arrested in another county, you’ll want to visit the website of the Kentucky Court of Justice. You’ll pay a $20 fee to find this information. You’ll need to provide the name and personal information of the person in question, and you’ll need to have them sign a consent form allowing you to perform criminal background checks. The information is sent to you in the mail, and it’s complete. There are options that allow you to do this online or by mailing your request to the office. You can visit in person, or you can look locally. What you want to find it is up to you, but it’s recommended you look for the most comprehensive information when it comes to a person’s criminal history.